Across from The Great Escape amusement park this Adirondack-themed indoor water attraction is available for resort guests at this 200-suite hotel that opened in the winter of 2005. While the amusement park adjacent to the hotel is only open from May to October the indoor waterpark and hotel are a year-round destination. 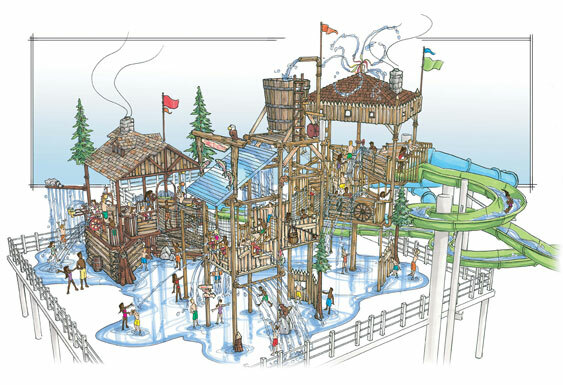 The multi-level 38,000-square-foot indoor waterpark features more than 150 activities including a family raft ride, tube water slides, a play lagoon and a lazy river. The longest lines can be found at the Flow Rider surfing simulator. The waterpark's roof will let in ultraviolet light to allow suntanning.